Ever wondered about the electrical code and how it affects the DIYer? The following is some information on the Electrical Code in Canada. The most current version is C22.1-09, The Canadian Electrical Code online and in print, part I, (21st edition), safety standard for electrical installations. The Canadian Electrical Code Online is available through several internet websites, including Amazon, EBay, and at the Canadian Standards Association website at www.csa.ca . Part I is adopted across Canada as regulation for the installation and maintenance of electrical equipment. The Canadian Electrical Code online, or in print form, is the code and standard that all electrical installations must conform to throughout the country of Canada. It is integrated with CSA electrical equipment standards (A.K.A. the Canadian Electrical Code, Part II) to ensure that electrical products evaluated to this standard are suitable for installation in accordance with the rules of Part I of the Canadian Electrical Code online, or in print. The Canadian Electrical Code online or in print copy covers all electrical work and electrical equipment that operates, or is intended to operate at all voltages in electrical installations for buildings, structures, and premises. It also includes factory-built moveable and non-moveable structures, and self-propelled marine vessels that are stationary for longer than five months at a time, and are connected to a shore power supply from time to time or continuously connected. 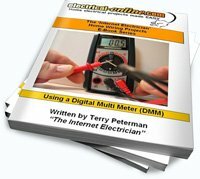 The Canadian Electrical Code online or in print form, and any standards referenced in it doesn’t make or imply any guarantee or assurance by any authority adopting this Code, as it may pertain to life expectancy, durability, or operating performance of equipment and materials referenced in the Canadian Electrical Code online or in print form. A little dry – but as I’ve said in previous posts, the electrical code is considered the ‘Bible’ of regulations and guidelines for electrical installation. Put in place to ensure safe practices with all electrical work, it definitely must be taken into consideration with any home electrical wiring projects. This entry was posted in Electrical Projects, Safety and tagged Canadian Electrical Code, Canadian Electrical Code online, CEC, code, electrical, electrical code, electrical equipment, electrical installation, electrical safety, wiring, wiring safety. Bookmark the permalink.